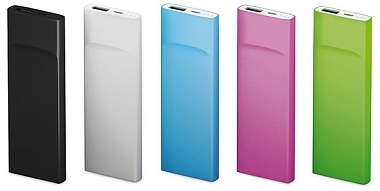 Ultra-light and powerful Power bank. 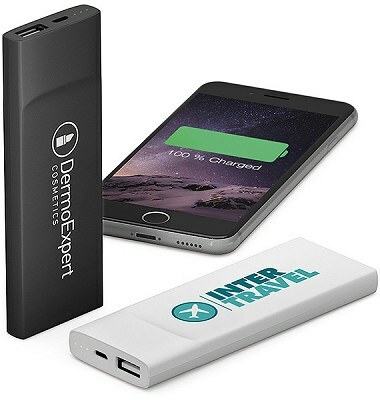 Stylish and high value designed Power bank, acclaimed for its ultra-thin and ergonomic design with operational and level of charge indicators. 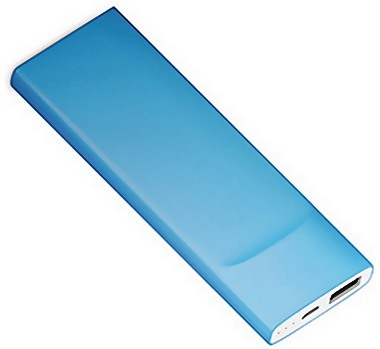 It is a very lightweight 72g, so that you will want to keep it with you all time. 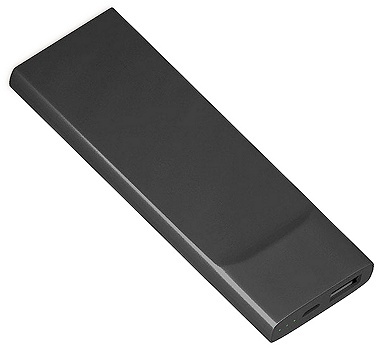 Besides being elegant, this model is powerful (1.5A) and ensures a fast charging of your smartphones and tablets. 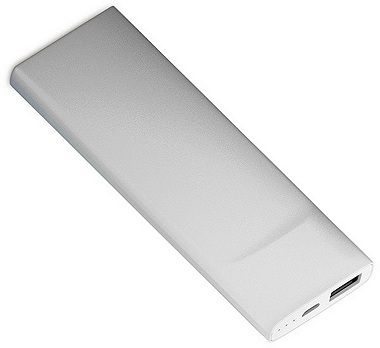 The capacity of 3600mAh allows you to charge 1.5 times an iPhone 6 or to charge virtually all the battery of your tablet. Logo Printing: Pad printing or full colour customization. Standard packaging: Coloured paper box.